Nintendo brings the fun of the Mushroom Kingdom wherever you go. Nintendo’s latest mobile app, Super Mario Run, brings the SNES nostalgia to another level — literally. The story line is the same as any other Mario game; Princess Peach has been kidnapped by the evil Bowswer and Mario needs to travel through dangerous worlds and enemies to save her. The catch with this game though is that it can all be played with one hand — thumb to be exact. Super Mario Run has no A, B, or directional pad. The whole game is controlled with the tap of a thumb — or any other finger I suppose. The game is programmed to make Mario run continuously, it is the player’s job to make him jump, wall jump, flip, etc. 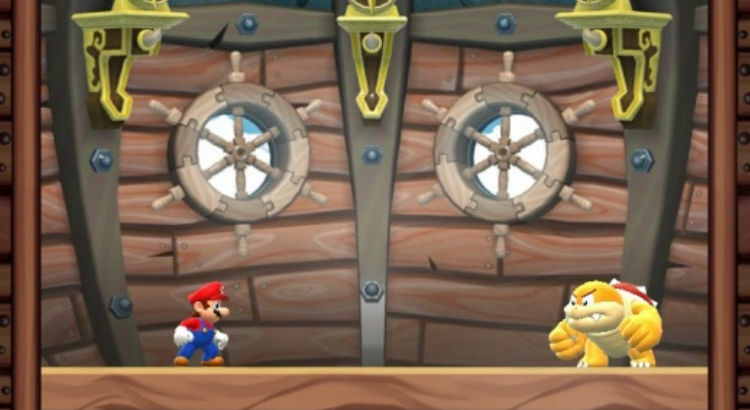 Enemies can be jumped on or flipped over to gain extra coins, with a form of Mario-style parkour being relied upon for success in the overall game. In addition to the classic story mode, Super Mario Run offers another mode, rally mode. In this mode, the player can challenge other players across the globe in the hopes of winning more Toads for their very own Mushroom Kingdom. The more Toads you get the higher your global ranking and overall apperance of your kingdom. Other characters such as Toadette, Yoshi, Peach, and Luigi can be unlocked through the course of rally mode. These characters each come with their own set of skills that you can use in story mode, rally mode, or both. Overall, Super Mario Run was another plus for Nintendo in the app world. It may cost a few extra dollars than other apps, but it is well worth the investment. So unlock your phone and run on over to the app store.